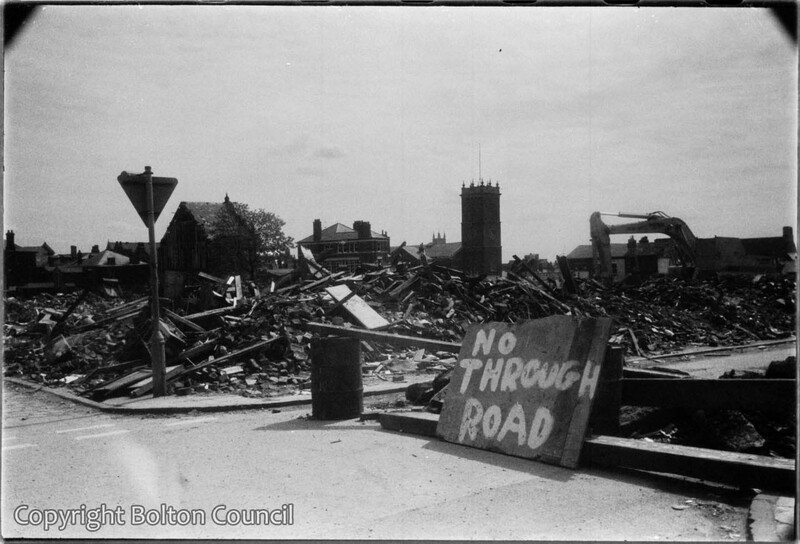 Demolition of the Davenport Street area in the early 1980s.St George’s Church is visible in the back of the photograph. I spent a lot of my childhood in Davenport Street. I remember near School Hill there was a cake shop at the start of my bit of Davenport St called Leathers. It was unchanged when I remember it in the 50-60 s They often had night lights in the windows to stop the Windows steaming up. I was left 13 Davenport St by my friend Florrie Heelis. It was demolished for the new Road.